If you find how to earn Google play money then this is the #1 way to earn Google play money/balance. 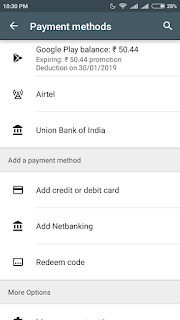 If you don't know about Google play money/ balance , I will tell you. 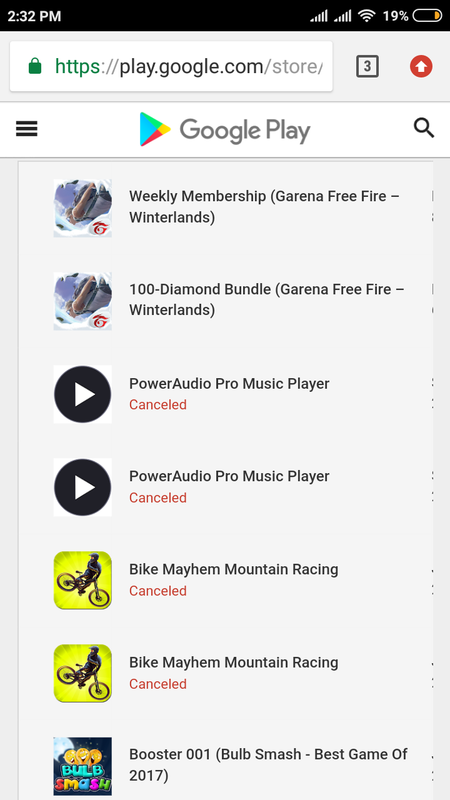 This is a balance that you use only purchase any kind of games , apps & purchase on any android games items & many many things you can do using this balance. 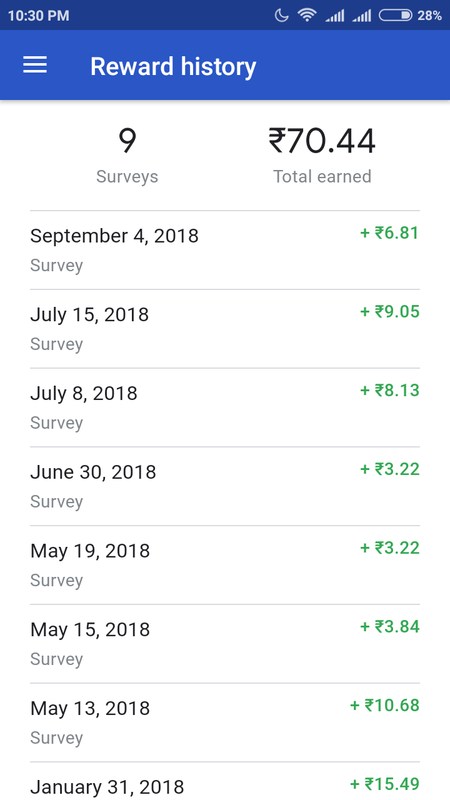 Google Opinion Rewards. ... It was initially launched as a survey mobile app for Android and iOS developed by Google. The app allows users to answer surveys and earn rewards. On Android, users earn Google Play credits which can be redeemed by buying paid apps from Google Play Store. 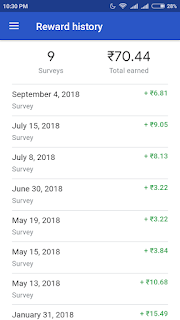 How to earn money from Google opinion rewards? Then the application ask few basic details about you (Ex. Name, DOB ,age etc.) So fill it & start earning. 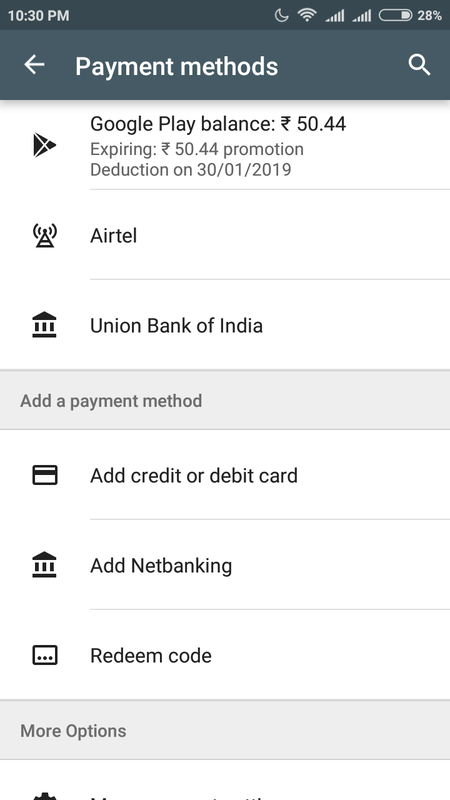 This application developed by Google, so you don't worry about payment & other things. You will get your 1st survey & Get RS. 10 for free. 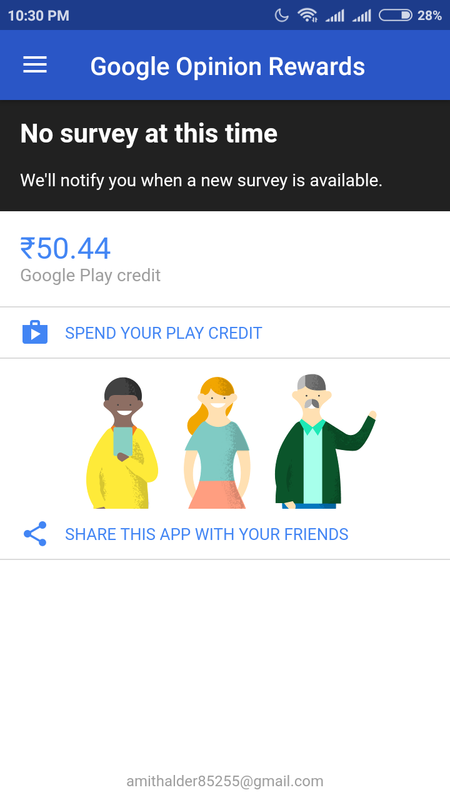 On your activity Google send servey & you need to complete the survey by your opinion.